Chia Seeds are rich in Omega-3 Fatty Acids and Fiber and have recently gained worldwide popularity as superfoods. An ounce or 28 grams of chia seeds contain 11 gm of fiber, 9 gm of fat and 4 gm of protein. The seeds are rich in sodium, calcium, phosphorous and manganese. These small oval wonders have a variety of health benefits, starting from being able to control blood-glucose level spike, giving you stronger teeth and bones and improving your heart health. However, their claim to fame is their ability to help you lose weight. Let’s look at how Chia Seeds can help you with your weight loss. What is the constitution of Chia Seeds ? 100 gm of chia seeds can give you 486 kCal of energy. They contain 34 gm of dietary fiber, 30 gm of fat and 16 gm of proteins. The fat in the seeds is mainly omega-3 fatty acids which is 8 times more than what you will find in salmon. The seeds are a complete protein source since they contain all the essential amino acids. They are also rich in vitamins A, B, C and E and minerals like calcium, manganese, phosphorous, manganese and potassium. How do Chia Seeds Help you with Weight Loss? 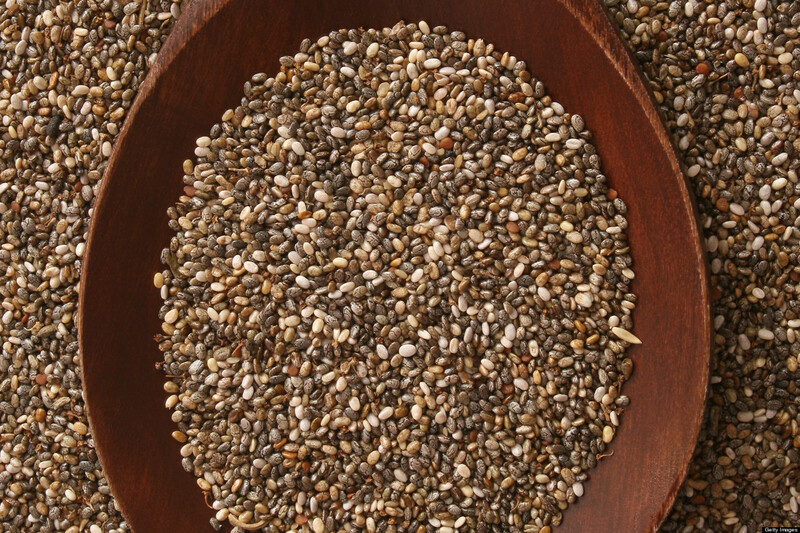 They make you feel full – Chia Seeds are rich in an amino acid called Tryptophan. The amino acid helps you feel full after a meal and reduces food cravings. Chia seeds also combine with the water in your system to form a gel like mass in the digestive system which gives you the feeling of having consumed too much, thereby making you cut down on food. 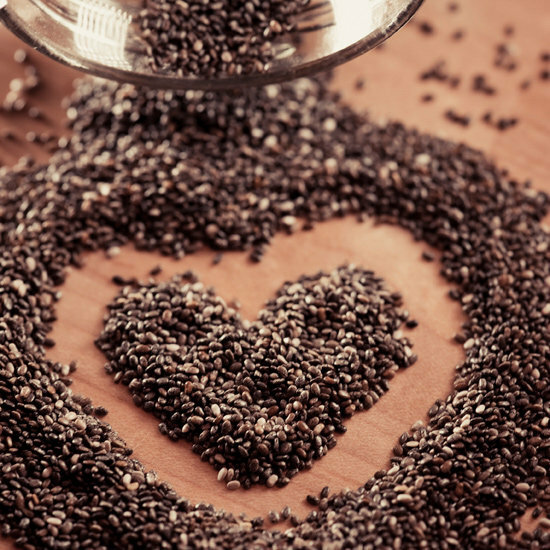 Stabilize Blood Sugar Levels – Chia seeds have an ability to slow down digestion. This way, your food gets absorbed into the system over a period of time and not immediately. You get sustained energy over a few hours when you include chia seeds in your diet. This prevents a spike in blood sugar levels and also fights insulin resistance in the body which is known to cause belly fat. Chia Seeds are rich in dietary fiber– An ounce of the seeds will give you one third of your daily requirement of dietary fiber, making digestion easy and filling you up without adding empty calories. 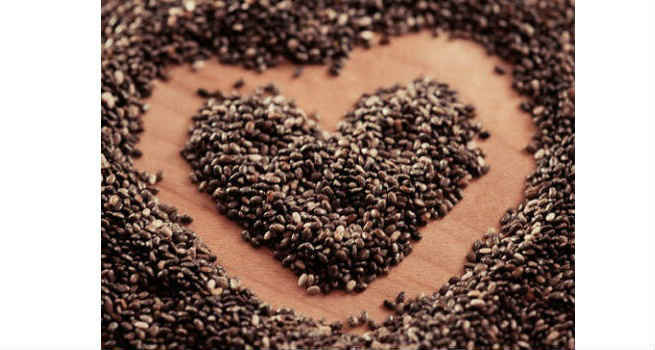 Energy Powerhouse – Chia Seeds are a powerhouse of energy. The next time you want to grab a chocolate bar when you are hungry, just eat a spoonful of these seeds and your hunger pang will be gone, that too in a healthy way! How to incorporate Chia Seeds into the diet? Chia seeds are easier to digest than flax seeds and can be consumed directly. However, if you want to make it a permanent fixture in your diet, there are many ways to do so. You can sprinkle a spoonful in your cereal every morning during breakfast. You can soak them and eat the soaked seeds– they absorb a lot of water and swell up, so soak the seeds in water that is about 5-6 times their volume. The seeds+water in them makes you feel full when you eat them. 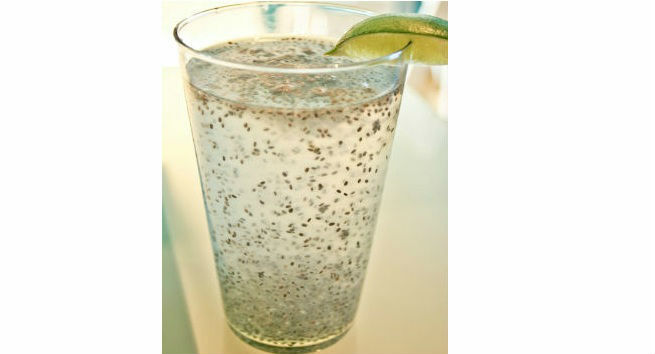 You can add the soaked seeds with some juice or milk and add some honey to it to make a great tasting refreshing energy drink. You can powder the seeds and add them to soups and multigrain breads. They also act as a wonderful egg replacement when a tsp of the chia seed powder is mixed with tsp of water. Remember that adding Chia seeds in your diet is not a magic bullet. To experience weight loss, you should also couple it with conscious healthy eating and exercise.